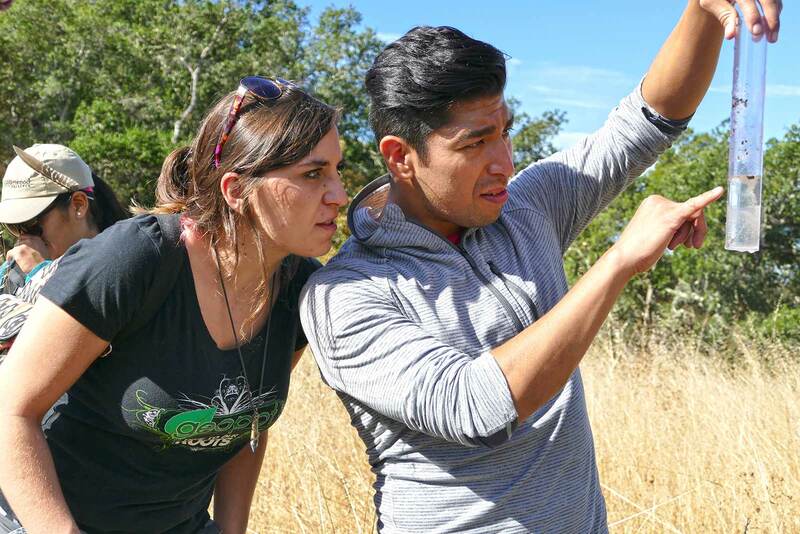 Pepperwood’s Conservation Science Internship, a partnership with the statewide Mathematics, Engineering and Science Achievement (MESA) program, engages Santa Rosa Junior College (SRJC) students in critical wildlife camera research as they assist in evaluating and cataloging data from motion-activated cameras. Get to know our past and present interns through this series of interviews and articles. 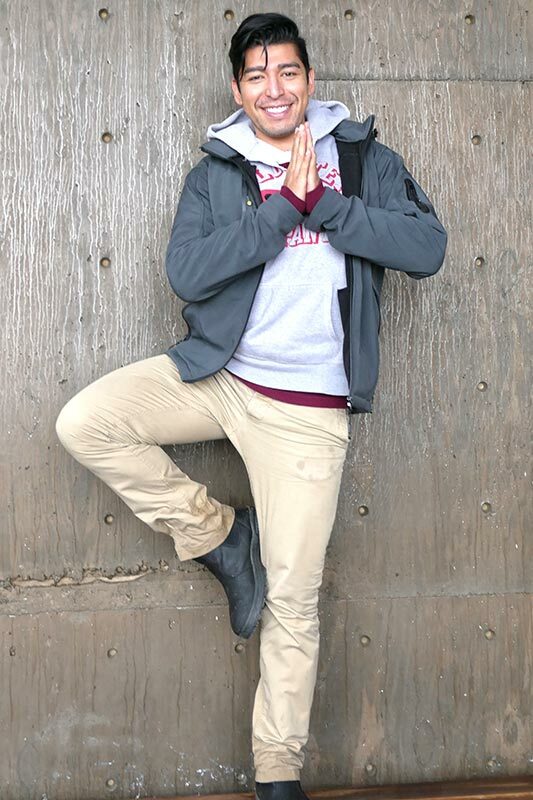 My name is Omar Acosta, and I am studying chemical engineering at Santa Rosa Junior College. I’m a very open minded and extroverted person, always looking to learn more about the life sciences and the environment. I enjoy strenuous fitness workouts, languages, and outdoor activities. The curiosity of our existence here today and the location of our galaxy in the vast universe was what drove me to the path of science. When I heard about the internship at Pepperwood Preserve, I told myself that I needed to jump on the boat. My peer Paulina Hernandez also mentioned that she had interned the year prior, and it was a great opportunity to get my feet wet working with lots of data, gain experience working with an Excel database, and work with professionals in the real world. My plan for the future is to obtain my Bachelor’s degree in chemical engineering followed by my Master’s degree. Regarding a typical day at Pepperwood, I say that it’s very enjoyable. The scenery and hikes there are marvelous. After a long week of hefty classes, Pepperwood Preserve is the perfect shrine to de-stress and gain a better understanding of nature. The main focus of the internship is to collect samples of precipitation from water gauges that are spread out throughout the preserve and measure the levels of rain collected each week. This database is then used by the National Weather Service and CoCoRaHS. Also, Pepperwood has a grid of cameras installed throughout the preserve. 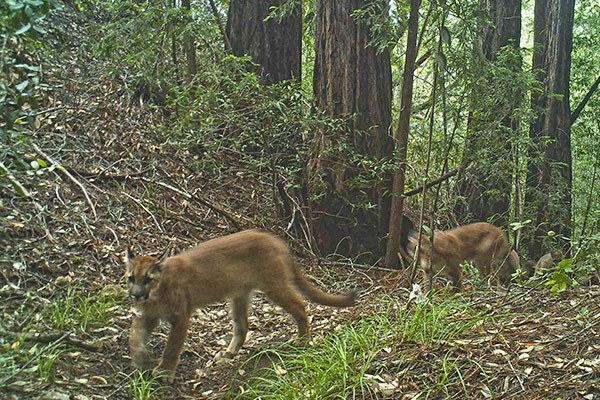 The cameras are motion-sensored so that every time an animal moves or walks by, a set of three photos is taken to monitor the behavior of the wildlife. These photos are then sent to the database called WPI (Wildlife Picture Index) where the interns perform cataloging. The focus of cataloging is to categorize these images and classify them based on animal and species. The data is then shared with other biologists and scientists to understand the diversity of the wildlife here in Sonoma County. 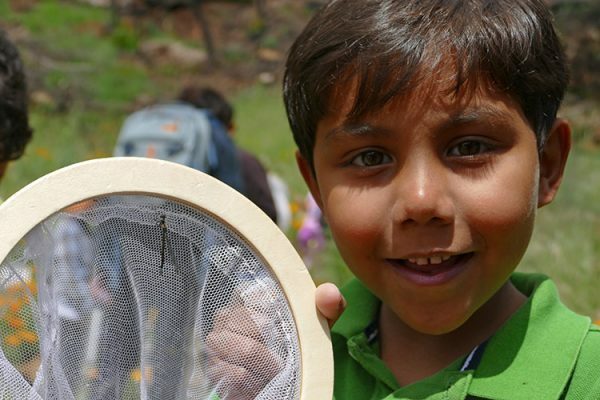 Besides collecting precipitation data and WPI cataloging, I have been privileged to work with a team at UCLA starting a new and exciting citizen science program call CALeDNA (environment DNA). With CALeDNA, we chose three locations on the preserve within 50-100 steps of each other, took measurements of the soil or sediment, dispensed it into three tubes, and then mailed it back to the UCLA laboratory for further analysis using metagenomics approaches to detect any living organisms in the environment. It has been an honor working with the stuff at the preserve. Everyone there is friendly and willing to engage in conversation during lunch time. 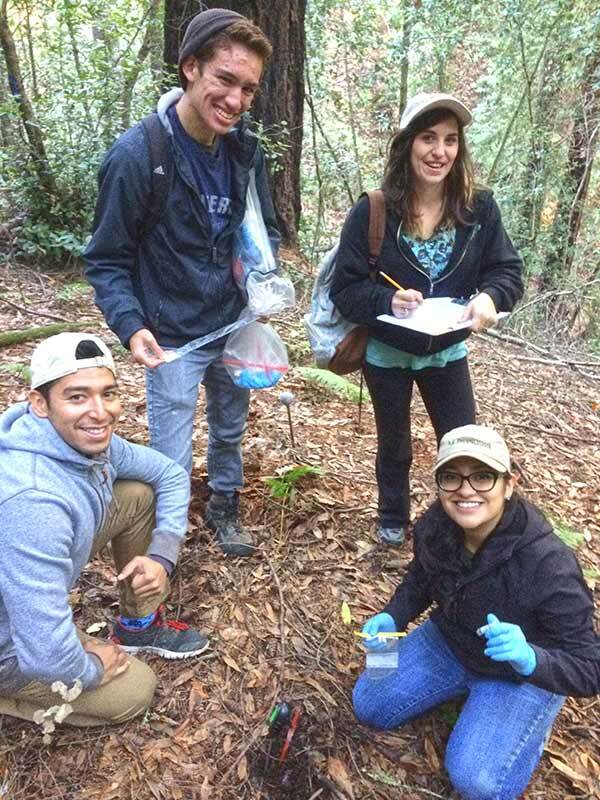 Conservation Science Interns take CALeDNA measurements in Pepperwood’s redwoods (from left to right): Omar Acosta, Mario Balitbit, Michaela Bush, and Paulina Hernandez. What has surprised you about the internship/been fun about the experience? The entire experience here at Pepperwood has been absolutely extraordinary. The communication with the whole staff is always on point and they treat the interns with a lot of respect. Pepperwood provides each intern with individual laptops and private cubicles for personal space. 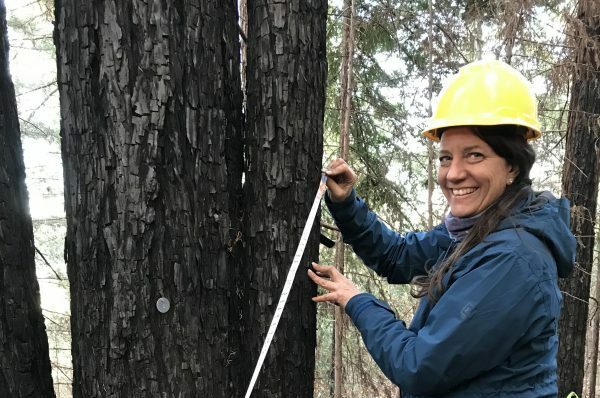 Michelle Halbur and Celeste Dodge, Pepperwood’s staff ecologists, are always reliable for any type of question that I have. They are both very knowledgeable and have patience to communicate with the interns. Overall, the facility and preserve are clean and well organized. What captivates me the most is how healthy the ecosystem is at Pepperwood. The preserve is a great example of how our open space should be handled. The staff here are highly qualified and have the right tools to maintain the ecosystem at its best. What have you learned about yourself or the nature of science? What I learned about myself is the ability to apply my knowledge from my education to the internship. It’s very rewarding when you can communicate with your mentors not only intellectually but also scientifically. I learned about the importance of wildlife monitoring to environmental health and the positive impact that it can have on our planet. I also learned about the importance of every individual job here to sustain the preserve as healthy as it can be. But ultimately, I will apply the knowledge and experience that I gained from my mentors at Pepperwood to my education and future career. What has been the greatest impact this experience has has on you? The best experience of this internship would be working in such a positive environment and getting a good feel for the wildlife at the preserve. I also enjoyed working with such a lovely staff who facilitated and shaped my understanding of Pepperwood. Finally, working with the tools here has motivated me to pursue innovations in materials engineering to continue monitoring our climate and wildlife while preserving our open space. I would like to thank Pepperwood staff for giving me the opportunity to work at the preserve. I truly appreciate the experience that they offered me and all the knowledge that I acquired during my internship. I look forward to working with the staff again in upcoming semesters to obtain more knowledge to aid me in my future career as a young professional and to make a difference in the world. Celeste Dodge, Pepperwood’s Systems Ecologist, (left) with Conservation Science Interns (from left to right): Paulina Hernandez, Mario Balitbit, Michaela Bush, and Omar Acosta.